Student Recital, audition and competition dates! Auditions and competitions are optional, but participation in the studio recital is mandatory. Please check and clear your calendar so we can have a great turnout. Saturday, May 19 • 4:00 p.m. I recently across this old photo that brought back some happy memories. As I remember, Mrs. Alpert (actually Ms. Chambers at the time) sang a quite impressive solo movement in the Poulenc Gloria. And if you look carefully, you’ll spot yours truly, assuming concertmaster duties in the orchestra. Amazingly, those were some heady years at the humble Cal Poly Music Department. Several of our friends went on to enjoy great professional success and recognition. A few even reached the very pinnacle of the music world. But we all share some wonderful memories. It’s a perfect testimony of music’s power to bring people together.. for a lifetime. Just a note to remind you that voice lessons resume this week, the week of Jan. 8. Your lesson will remain at the same time, unless otherwise discussed. As always, if you have a scheduling problem, please call me at least 24 hours in advance of your lesson time. I recently completed a two day recording session at Capitol Records. 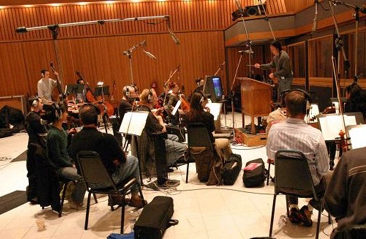 It was a film score for an action movie currently in post production, The Rebel. At the session we were all updated about our another project that we completed more than a year ago. At the time I had only an inkling of what this movie would be; it’s a gripping drama, and an important historical document. It’s been winning prizes at film festivals across the globe, and it drew standing ovations at Sundance. In 1975, when U.S. forces left South Vietnam, a modern day holocaust ensued. Journey from the Fall tells a story that few Americans remember. The producers of the film had a first hand connection to those events some 30 years ago; they knew this is a story that must be told. And though the session was more than a year ago, I can still feel the warmth and heartfelt appreciation that the film makers had for all of us over those days in Studio A.
I feel honored to have been part of this project. Though I have yet to see Journey from the Fall, (it opens in Spring 2007) I hope everyone will take the time to seek out this movie. Violin lessons resume on January 6. Voice lessons resume on the week of January 8. Have a recital photo you’d like to share? Recital: Monday, December 11 ?��Ǩ�� 6:00 p.m.
All voice and violin students are expected to participate in this studio recital. Gratitude is like putting money in the bank. Practice it every chance you get. Every day is filled with opportunities to be thankful. You can be thankful for your blessings, for your problems, for the things you know, for the things you’ve yet to learn, and for everything in between. When you sincerely enjoy and appreciate life’s small, simple treasures, the big, impressive achievements will soon be headed your way. Demonstrate, with joy and enthusiasm, your appreciation for something, and you’re likely to get much more of it. Choose to be gloriously thankful simply for the fact that you’re alive and aware. You will notice an immediate and profound improvement in your day. Every thankful thought you think connects you more solidly to life’s magnificent abundance. The more you appreciate something, the more real value it takes on. So challenge yourself to be truly thankful for all that is around you, for all that is in you, and for all that happens to you and through you. By so doing, you give richness and value to everything you touch. Just a quick reminder: there will be no voice or violin lessons Thanksgiving week, Nov. 19-25. Bill and Melanie wish you a wonderful and enjoyable holiday. Welcome to our blog site! We are really excited to have this new addition, so we can tell you what?��Ǩ�Ѣs going on in and out of the studio. There will be news, important dates for recitals, competitions, auditions, concerts, etc. I’ll start with an overview of 2005/2006 and the accomplishments of you, my wonderful students. Now, I?��Ǩ�Ѣm doing this from memory, so forgive me if I?��Ǩ�Ѣve left something or someone out. Please make sure you let me know what you are up to, and I will try to include it in my quarterly review! 2005/2006 in the Alpert Studio: It was a busy year, in October the Chaffey Joint Union High School District Solofest was held. We were well represented in the winner?��Ǩ�Ѣs circle. Nicole Larson took Honorable Mention in the Musical Theater category. Sarah Jackson took third place and Kari Kennedy won first place in the Classical division. 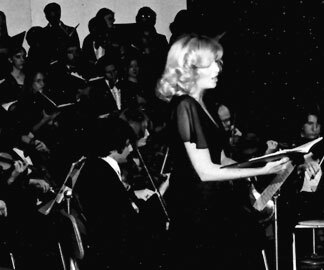 Later that month several students participated in the Intimate Opera Vocal Competition. Representing the studio, were Amanda Workman, winner upper division, Brandon Alpert, Third Place middle division and Mercedes Machado, Third Place lower division and Maggie Anderson, finalist lower division. Another competition, the Professional Opera Singers Association was held in early December. You had to submit a recording to qualify and all of my students passed the first qualifying round. Gabi Martinez, Daniella Samuel, Brandon Alpert and Amanda Workman all advanced to the semi-finals. Brandon was unable to attend but Daniella and Amanda were among only four finalists in the upper division. Amanda took second place. Just before the Holidays, we had our winter recital and it went splendidly. I was so proud of every one. Shortly after the Christmas we received a call from the Spotlight competition and were informed that Brandon was one of the fifteen semi-finalists chosen out of a field of 380 students! 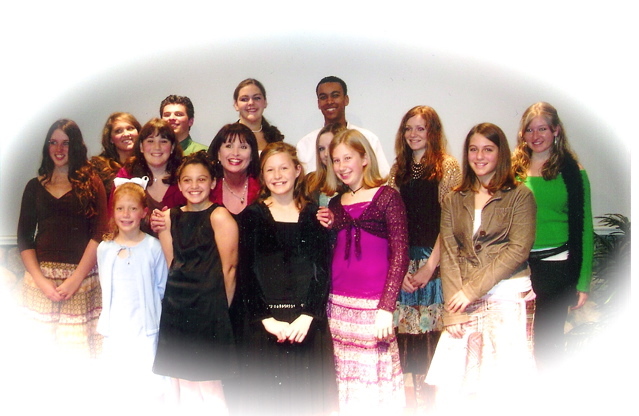 In early January, the competition sponsored a Master Class with the Broadway star Karen Marrow. Brandon and I really enjoyed her interaction with the students and felt she offered plenty of sage advice. With hardly a breath, the SCVA competition was upon us, also in January. Gabi Martinez and Maggie Anderson advanced to the semi-final round. Maggie was the first one to sing at nine o?��Ǩ�Ѣclock in the morning in SANTA MONICA! Yikes!!! They both said it was a great experience but an extremely long day. Well, that?��Ǩ�Ѣs SCVA! February brought the final round of the Spotlight competition, and while Brandon was not selected as one of the two finalists, he felt he sang well. His comments from the judges were wonderful and even his competitors complemented him on his performance! He felt the entire experience was a valuable one and encourages everyone who is prepared to participate. Somewhere in February, I think, was the Grove?��Ǩ�Ѣs Children?��Ǩ�Ѣs Theater Production of Pinocchio. It featured Kari Kennedy and McKenzie Orr. In March the performing troupe Broadway Experience presented it?��Ǩ�Ѣs first musical, Once On This Island, at the Candlelight Pavilion. I had the pleasure of being Music Director and thoroughly enjoyed the experience. It was a lot of hard work for several months, but the outcome was FABULOUS!!! Featured from the studio were, Maggie Anderson, Sarah Hinrichsen, Sarah Jackson, Marlow Hooper, Ashley Blackwell, Frankie Libuti, Meagan Watkins, Alex Calentine, Michael Sturgis and Kaitlyn and McKenzie Orr They all sang, danced and acted like pros! I don?��Ǩ�Ѣt quite remember if it was March or April, but the City of Rancho Cucamonga presented Rodgers and Hammerstein?��Ǩ�Ѣs Oklahoma. Participating from the studio were Lindsey Rupp, Gabi Martinez and Daniella Samuel who had the lead role of Laurie. In early April, the San Bernardino County Solofest competition was held. In the upper division, Kari Kennedy was selected as a finalist and in the lower division; Sarah Hinrichsen and Mercedes Machado were selected with Mercedes winning1st place! My mind gets a little fuzzy around the end of April and beginning of May. It was a busy and sad time for me. 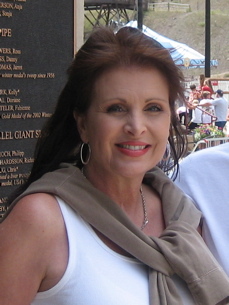 As all of you know, my amazing mother passed away on April 18th. She had not been well for some time, but it is still a shock to your system when you lose someone you love so much. When she was healthy, she was such a vibrant and active human being. I will miss her love, her friendship, and mostly, her wit and humor. Thanks to all of you for the food, the cards, and the thoughts and prayers. You don?��Ǩ�Ѣt know how much I appreciated it. The end of the school year was again hectic with many things going on. I was occupied with my school shows, Broadway Experience, rehearsals for Candlelight Pavilion?��Ǩ�Ѣs Cinderella and of course private teaching. It was a good time to be busy. At the end of the month, the John Child Walker vocal competition was held and we swept the entire thing. Amanda Workman took first place, Brandon Alpert took second and Sarah Jackson took third. Lindsey Rupp and Kari Kennedy also competed and though they didn?��Ǩ�Ѣt place, they received wonderful comments from the judges. Though summer was now upon us many didn?��Ǩ�Ѣt get much of a break. Nicole Larson, Brandon Alpert, Maggie Anderson, Sarah Hinrichsen, Sarah Jackson, Ashley Blackwell, Frankie Libuti, Michael Sturgis, Kaitlyn and McKenzie Orr were all featured in Candlelight Pavilion?��Ǩ�Ѣs Cinderella. It was a six week run and kept them all hopping! Other productions going on in the summer featured Gabi Martinez in Beauty and the Beast, and Angie Harold in the Karousel Kids You?��Ǩ�Ѣre a Good Man, Charlie Brown. I think that about brings us up to date. Congratulations to all of you who graduated and are now off to college. Please email me things that you are doing, I am going to have an alumni section of this newsletter where you can keep me informed of what you are doing! I hope all you keep in touch! Dec. 11, 2007 ?��Ǩ�� 6 p.m.
January 8, 2007 ?��Ǩ�� 3 p.m.